Owning a business takes a lot of hard work, dedication, money and perseverance. You don’t want to have to worry about roof maintenance and repairs on top of all that. That’s why it’s so important to regularly maintain your commercial roof in Fort Worth. The better you take care of your business’ roof, the less chance you’ll have to shell out a lot of money for repairs or replacement later. 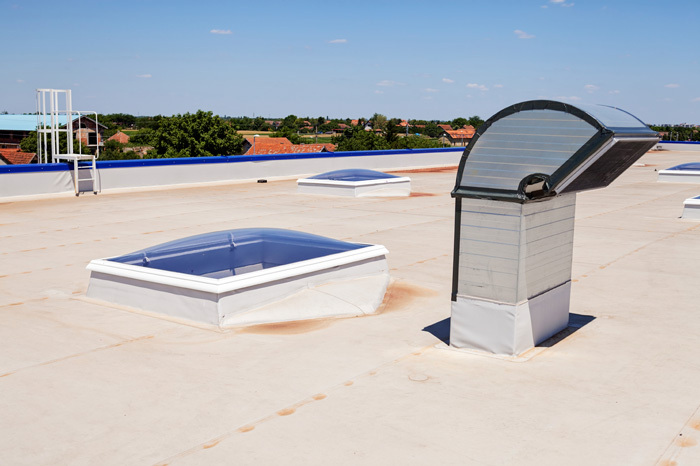 Heed these maintenance tips for your commercial roofing system in Fort Worth, home to 874,000 and the fifth largest city in the state. We happily service all of Fort Worth, the seat of Tarrant County, and beyond. Walk throughout the interior of your building and check for any signs of leaks from the ceiling or water marks running down the walls. Leaks may be characterized by black or wet spots on the ceiling. Clear out your gutters and downspouts at least twice a year to ensure water is being properly routed. When gutters get blocked by leaves, twigs and other debris, water will back up and seep into the lower roofing, resulting in major damage. Regularly trim back trees or other brush that may be growing over your roof. Those branches are very sharp and can puncture your roofing material easily. Also, you don’t want to give critters such as squirrels easy access to your building, where they can set up shop and nest. Don’t go up to your roof unless it is absolutely vital. If you do, tiles and shingles can get damaged, even if you’re careful. Let the professionals handle this, as they have the proper equipment to safely gain access to the roof. At the first sign of damage, call a roofer who can perform a more in-depth inspection of your roof, analyzing its condition and presenting you with an action plan. Common issues include leaks and holes, which can be patched up fairly affordably. Waiting till the problem becomes worse will only serve to degrade the condition of the roof, threaten its structural integrity, and result in major bills. It’s far more economical for your business if you take the time to perform routine maintenance. If you own a commercial business in Fort Worth, you need to pay special attention to your roof for the safety of your employees, customers and inventory. Contact us today to book your roof inspection or repair today.